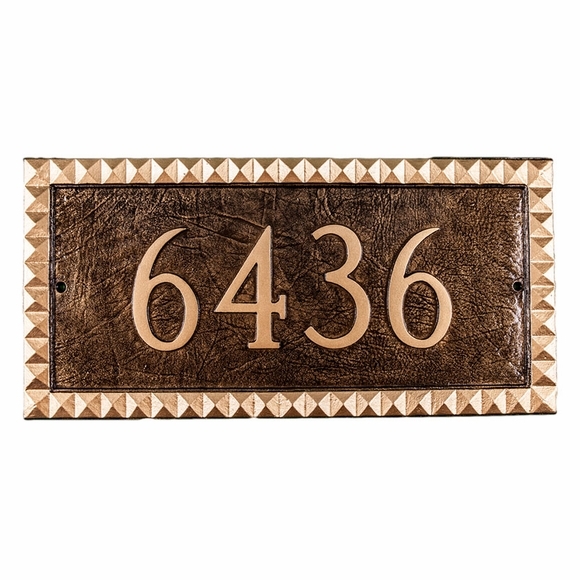 Personalized House Number Sign with Decorative Border - - and large numbers. Single-line rectangle address plaque holds up to five 4" numbers. Made in the USA. Bold, artistic, and exotic border is a curb-appeal winner. House number on sample sign above: 6436. Characters and border are part of the sign, not added on. Made in the USA.